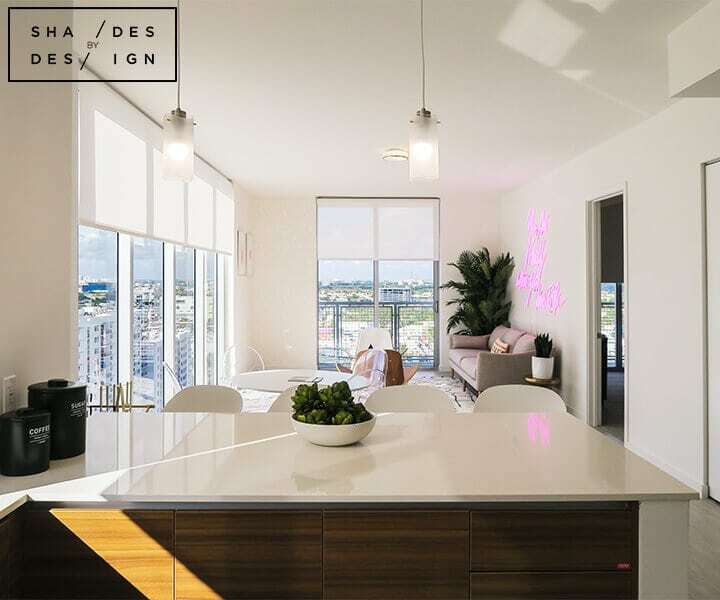 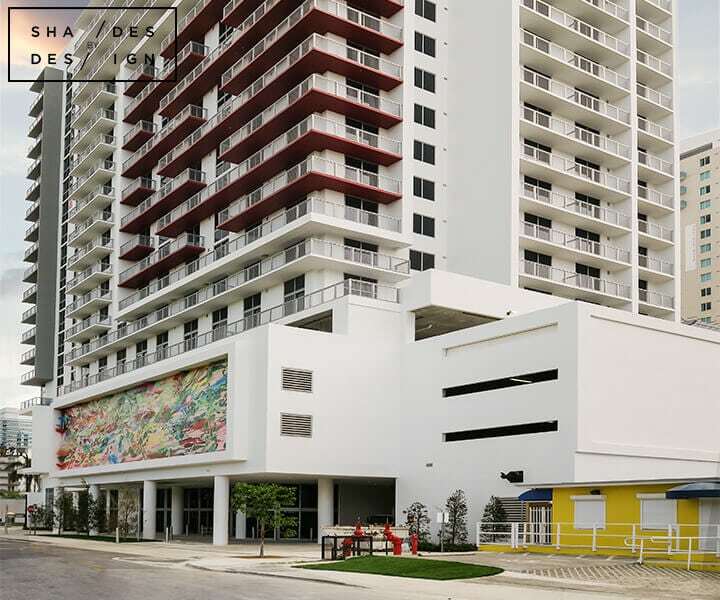 2500 Biscayne lies in Miami’s newest destination neighborhood of Edgewater. 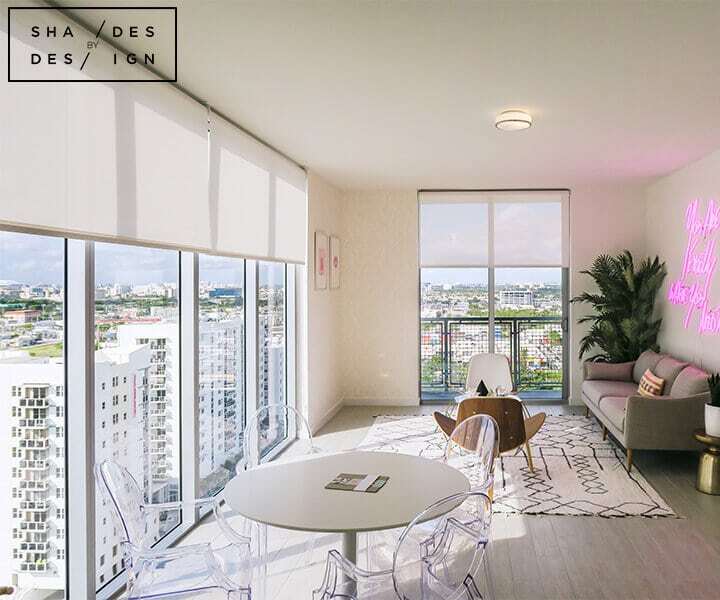 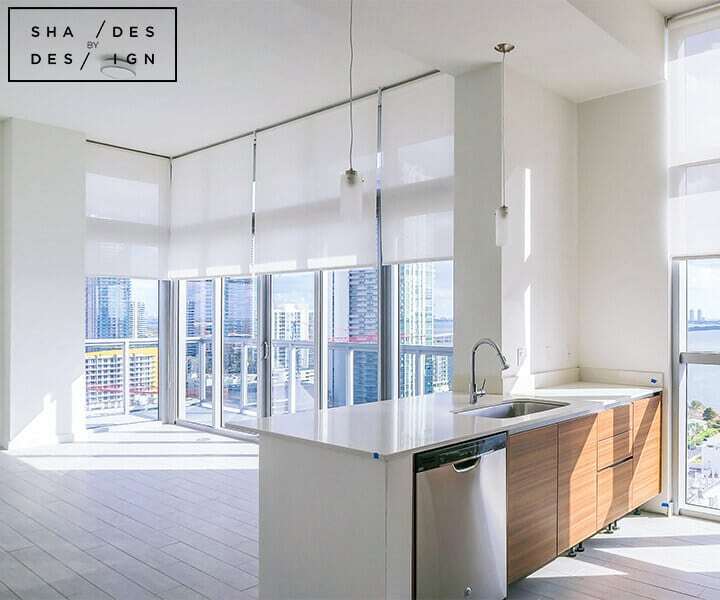 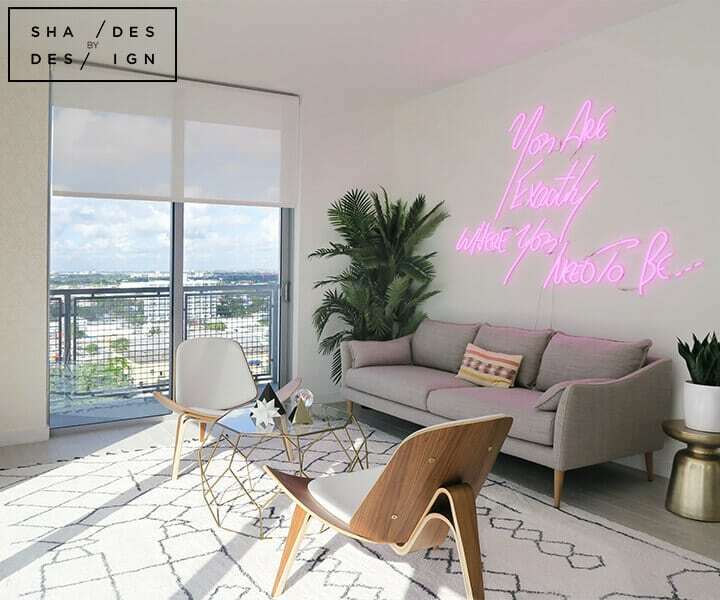 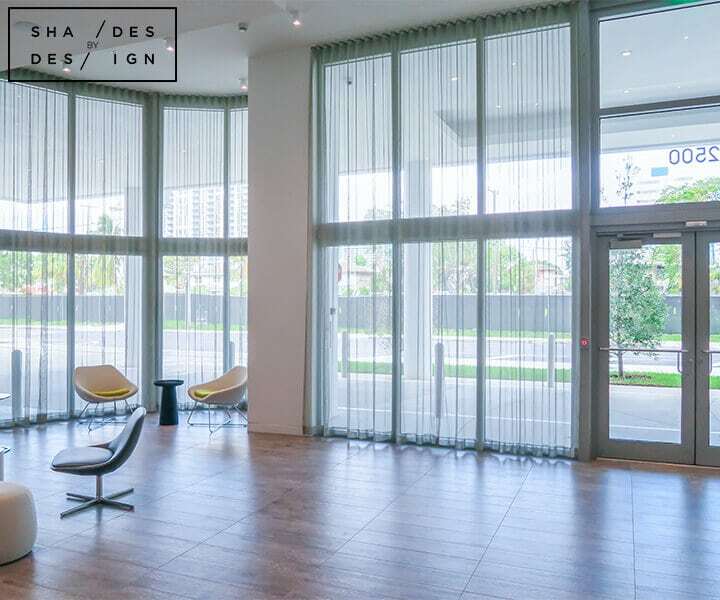 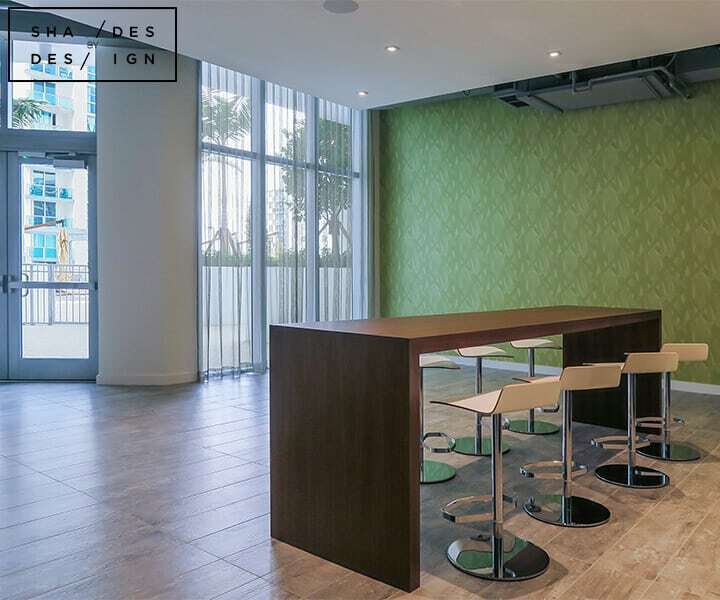 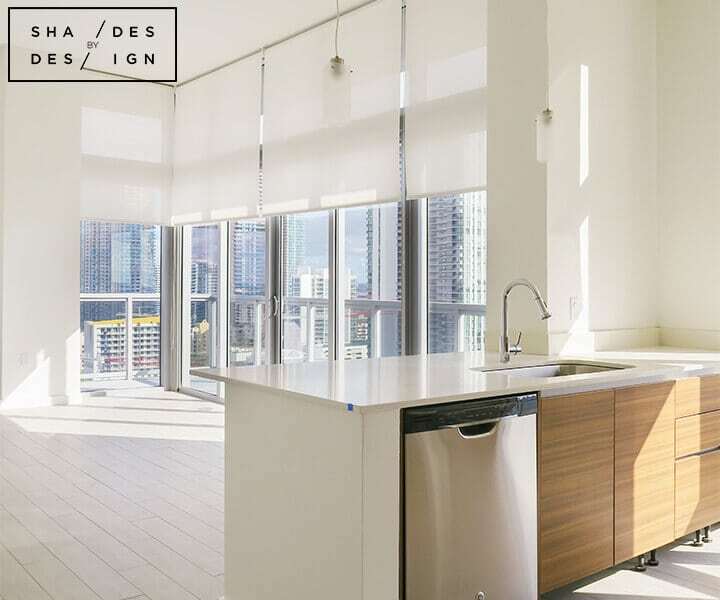 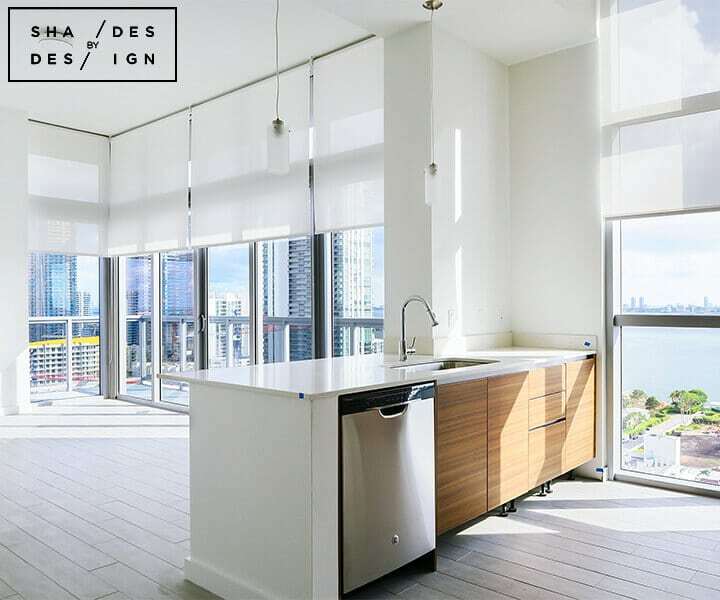 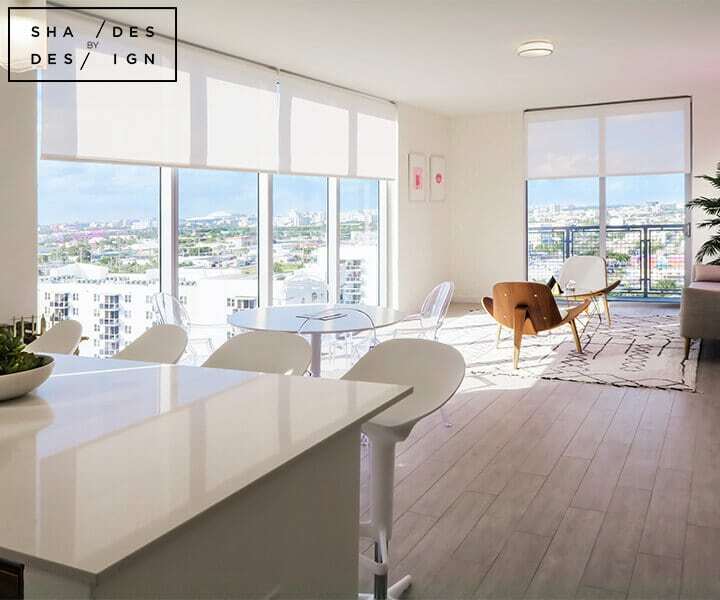 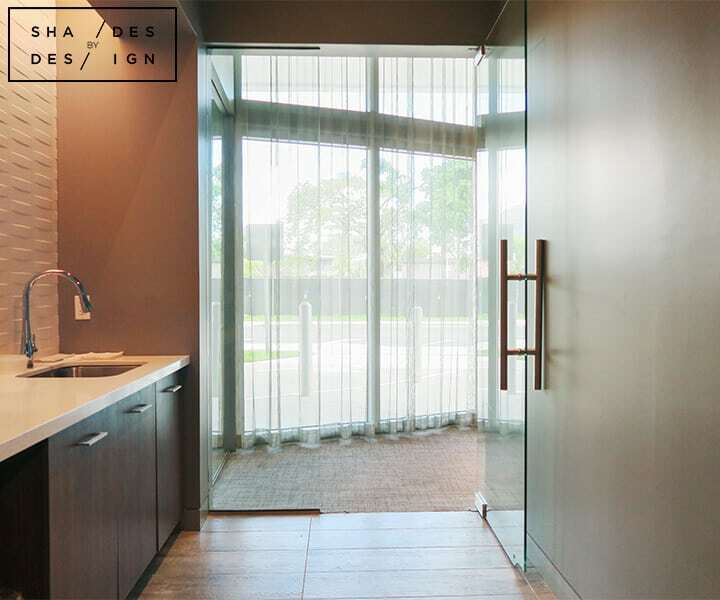 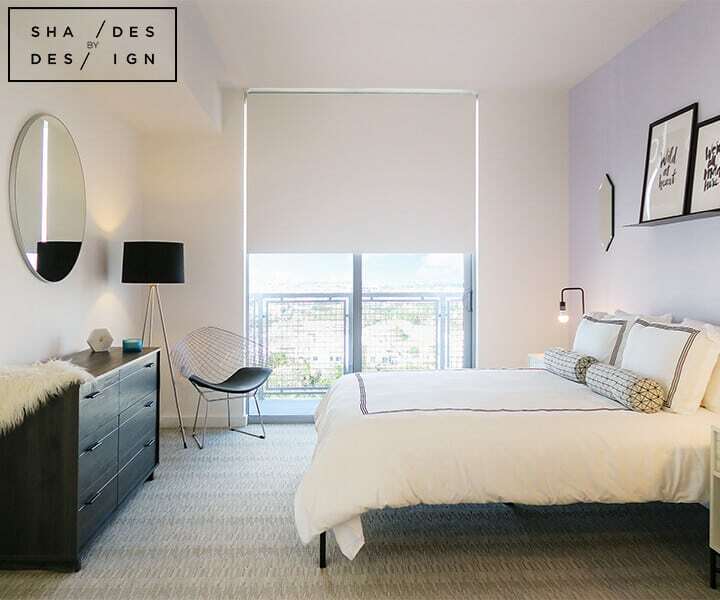 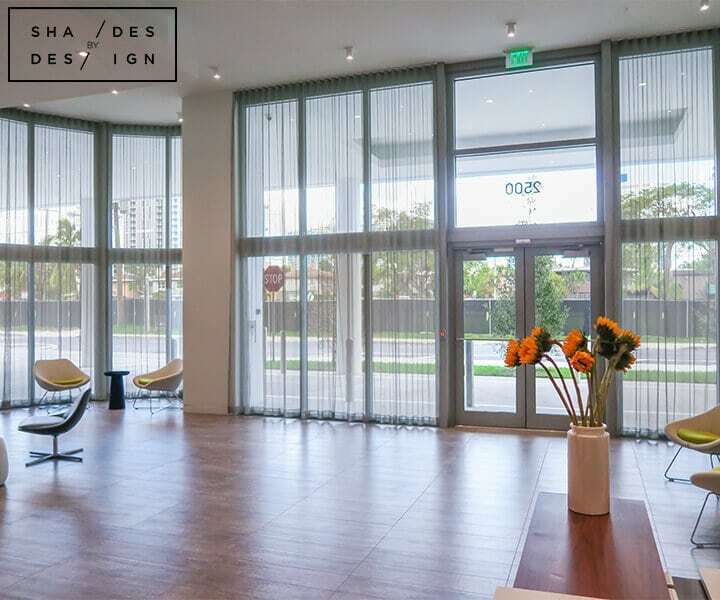 This location is perfectly located between Wynwood, Downtown Miami, and Brickell (3 of Miami’s hottest spots). 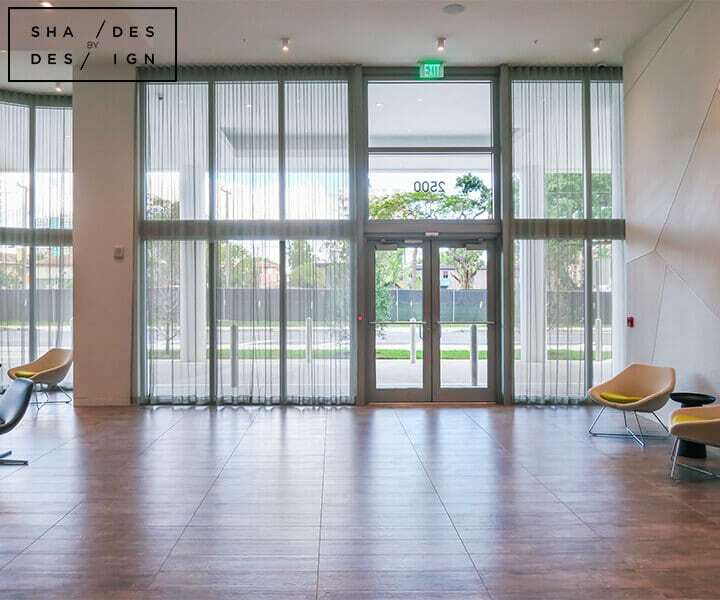 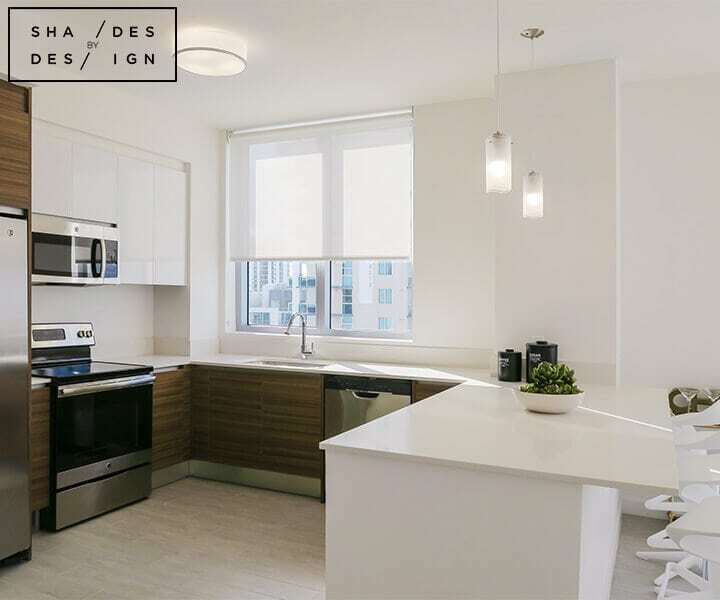 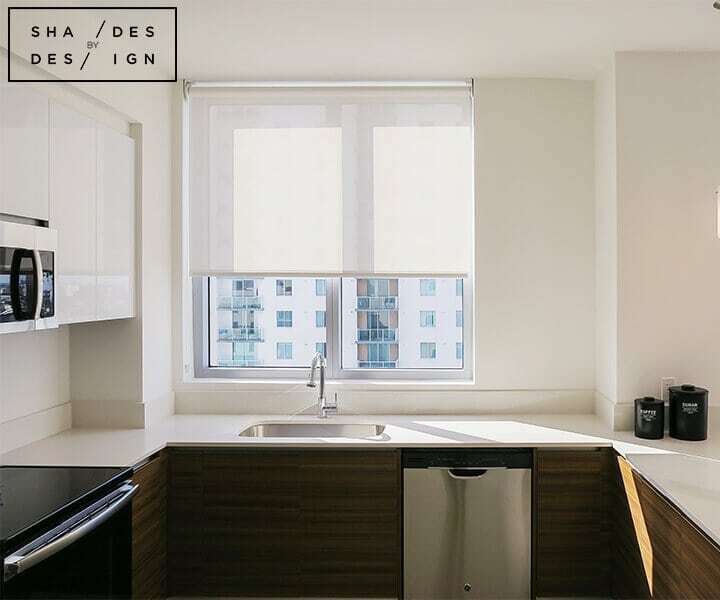 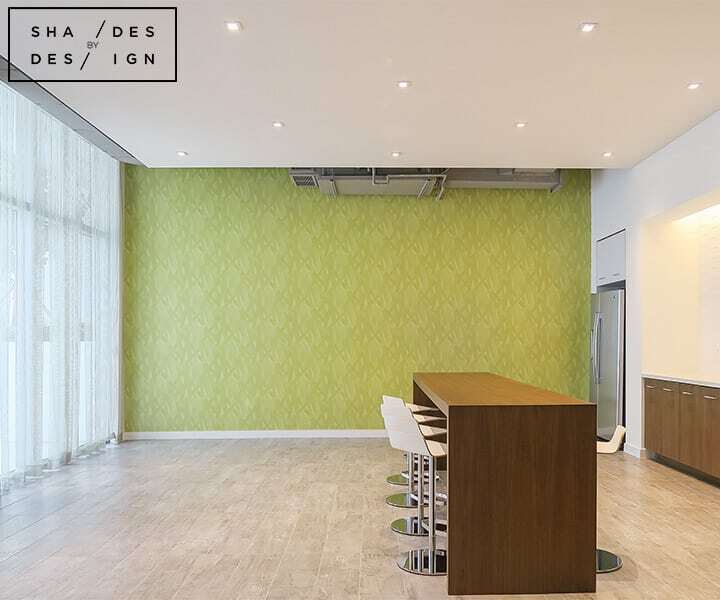 For this location, we worked with developers to create window treatment solutions for the entire building to create a nice welcoming atmosphere from the moment you walk in and to allow residents to enjoy their luxury apartments with the finest and most functional window treatment designs. 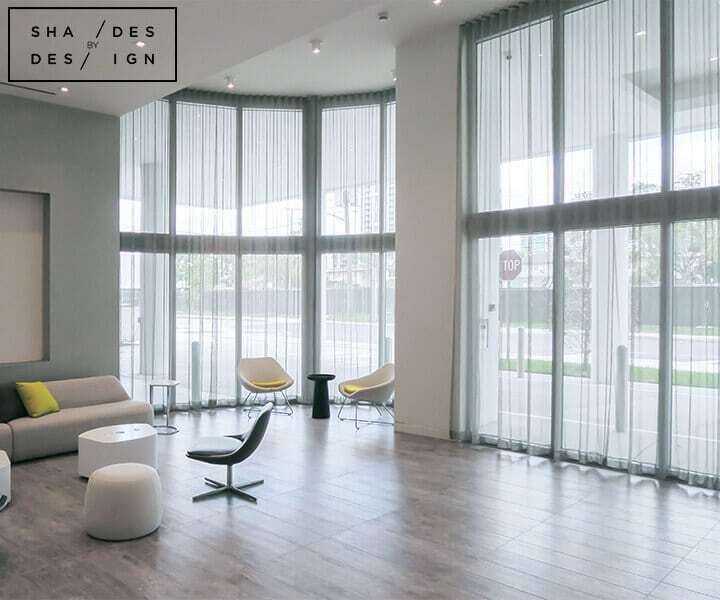 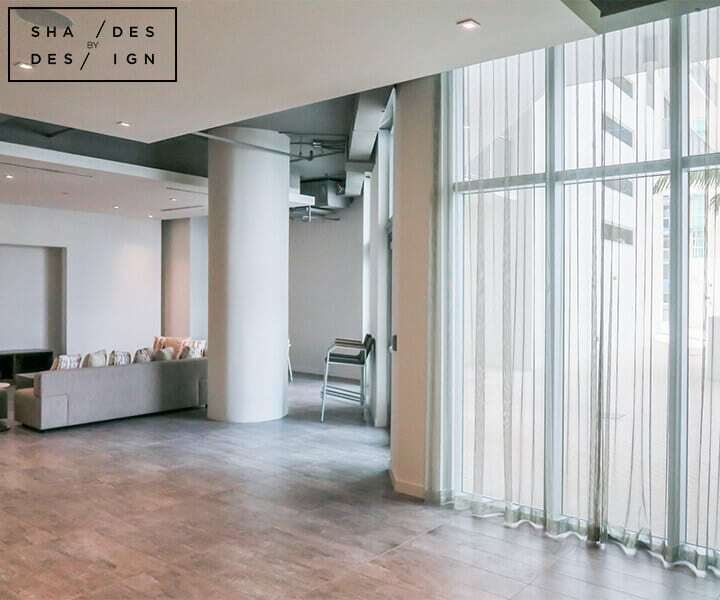 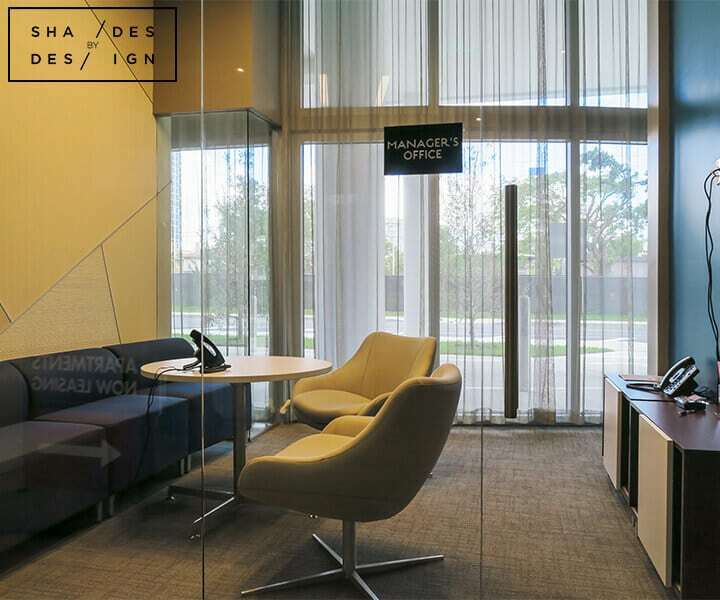 In the lobby and lounge areas, we installed sheer ripple fold curtains which allows a clear view of the outside, will preventing too much sunlight and heat from entering through the large two-story windows.